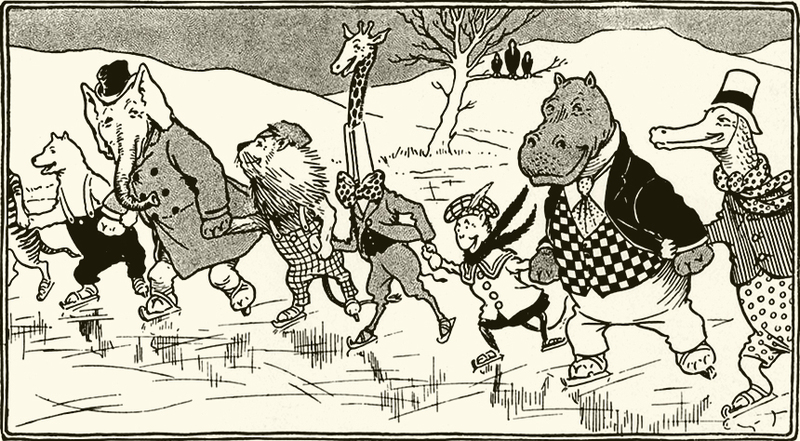 Illustration: The animals of Zoo-land Animal Antics By Louis Wain Illustration by Matthews. S. W. Partridge & Co: London. Ca 1900-1910.